Repair My Flute: Time for a COA or Overhaul? 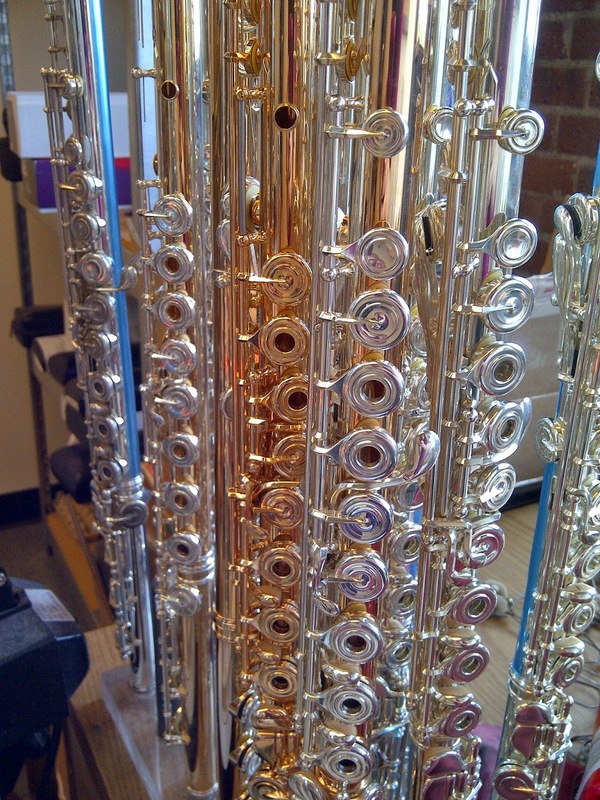 Flutes in the repair shop for COAs and overhauls. We all want to protect the health of our flutes with good care and maintenance, but how do you know when it's time for a COA or overhaul? We checked with Powell's Repair Technician, Rachel Baker, to find out! Rachel tells us that it depends on how much playing you do, but if you play regularly, you should get a COA every year. If playing flute is more of a recreational activity rather than something regular, you can have a COA done every other year. No matter the case, she advises that the maximum amount of time between COAs should be no more than every other year. Sending your flute in for a COA is a terrific preventative measure, too, because it will help catch things that degrade over time and fix them. For instance, pads will wear over time and need to be replaced. With a regular COA, a pad or two may need to be changed every year. However, without regular maintenance, you may find yourself in a situation with, say, five pads needing to be replaced -- and at that point, you would need an overhaul. The COA will also help correct the normal wear of the mechanism. So, how do you know when it's time for an overhaul? Rachel says that the mechanism is really the indicator. As mentioned above, it does wear over time, and even with regular COAs your flute keys will move laterally more than they should, and the mechanism can get "clanky" or "noisy." When this happens, it's time for an overhaul. Also, make sure to check the condition of your pads. When they become warn, they can lose resonance. This wearing can happen in two ways: (1) from regular use, and (2) from pads drying out and becoming brittle, as one would see in a flute that has been left in its case over time without being played. Finally, Rachel mentioned that many flutists will lose confidence in their playing and feel like they are doing something wrong if their flute is "playing less well" than it used to, when it actuality, the flute may simply need an overhaul. As always, if you feel something just isn't right with your flute, make sure to contact your authorized repair technician. Now that we are getting into the summer, it may be the perfect time for that overhaul or COA. Just a reminder that it's quick and simple to schedule your repair online on the Powell website. Click here to follow the link to the online repair request form.